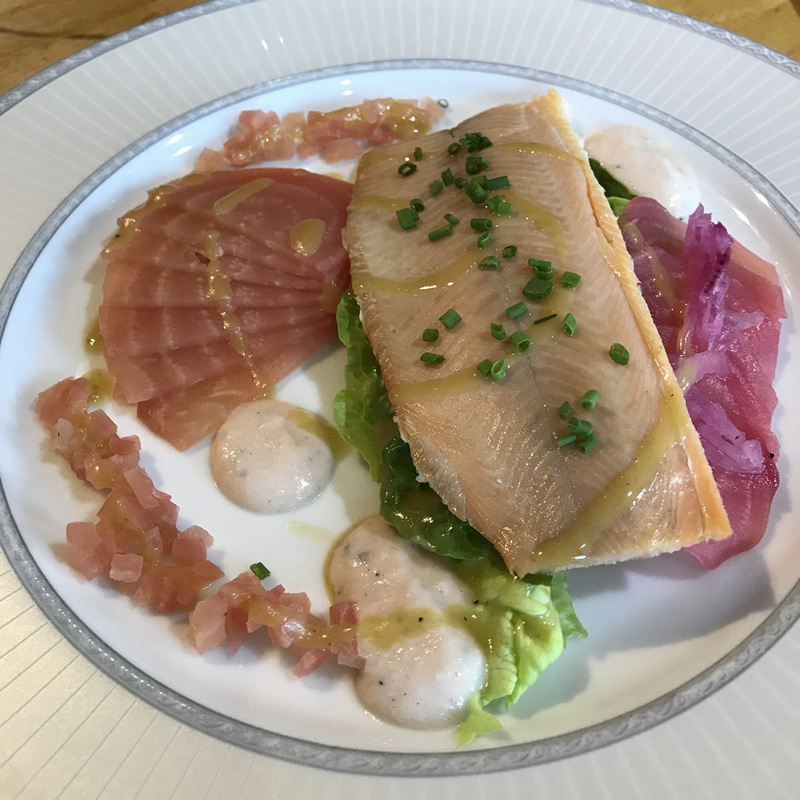 The Trout is top quality. It is slightly buttery in nature and the flavour is light and smoky. Served with sliced Beetroot, Horseradish and small green salad. 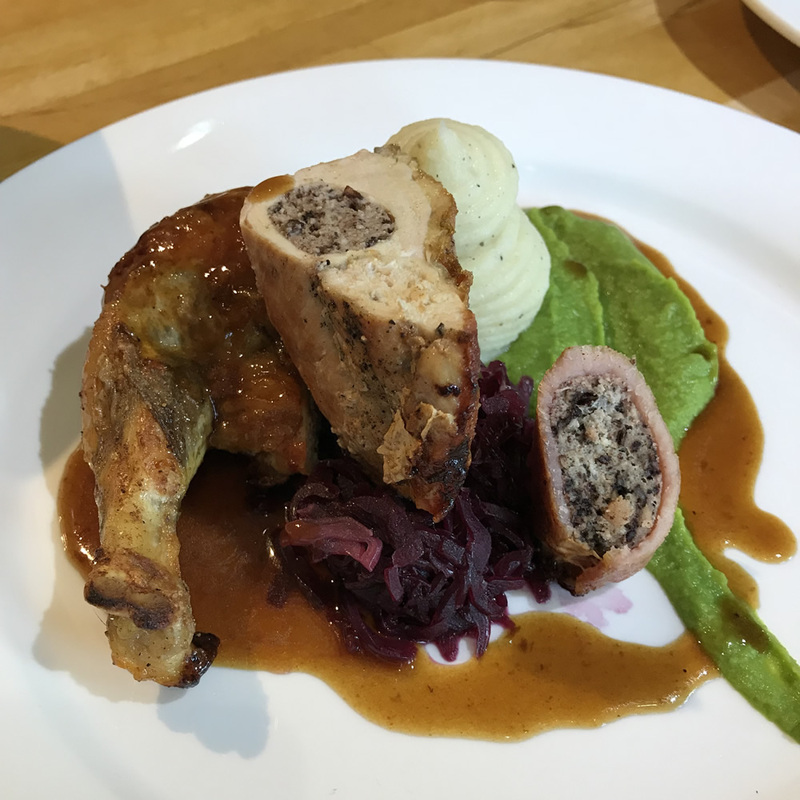 Made a farce from the Fillet of the Guinea Fowl and mixed with Black Pudding and Bacon trimmings and piped into the breast. Served with Mashed Potato, Pea Puree and tangy Red Cabbage. Delicious. The Bread and Butter Puddings we too large so I had to reduce them to keep Tash happy. made with a few Raisins to add natural sweetness, glazed with sugar and sprinkled with toasted Brioche Crumbs. Very nice.